3 in 1 color for your eyes, lips, and/or face! for fresh and natural color all day long. 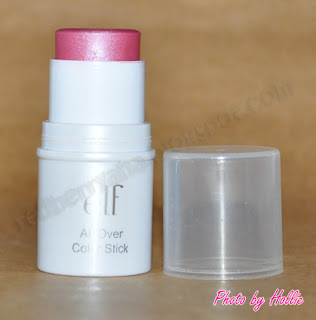 I bought this ELF All Over Cover stick last December 2010 because I was looking for a cream blush at the time and thought that maybe this will do. To my surprise, I picked up something interesting. I love to use this cover stick as a base for my powder blush to stick on to, it makes my powder blush last longer. I've also tried using this as an eyeshadow base, it works well. You don't have to worry about it being pink, the eyeshadow pigment will cover it. I don't think that I will be repurchasing this though coz it didn't really give me that wow factor. I will consume this stick then I will be on a hunt for another cheap cream blush that works. 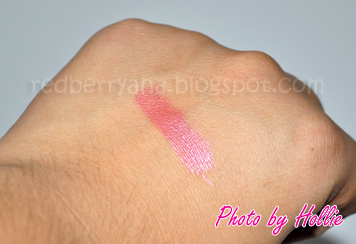 I would greatly appreciate it if you can suggest a nice cream blush that I can easily find. great review and beautiful blog! It's ok, but I just don't like the minty/citrus smell (can't explain :|). hehe. @Pammy, yes it is. But I don't think I'll be repurchasing this. I'll will look for another cream blush. @Donna Baby.. Thank you.. you have a beautiful blog as well. @Minakichu, hehe.. Yeah, I think this will last for a while... you're welcome, my pleasure. Wholesale Glow Sticks and Glow Sticks are considered novelty party products. They are referred to as glow sticks necklaces and bracelets sometimes because they are in essence special size glow sticks. great post! thanks for following, following you right back doll! it's interesting to note that you were able to use this as a lid primer! I used this every day in college, because it was so convenient. But then it was best for use as a blush for the same reasons you stated. It made for a very dated looking lipstick and a not-so-long-wearing eyeshadow. I really liked the scent, though.